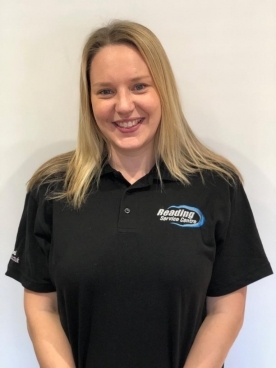 With many years of car and van servicing experience, Reading Service Centre in Caversham is the number one independent specialists in Berkshire. As a family run business we pride ourselves in offering a personalised vehicle service to all of our customers. We are always keen and enthusiastic to help ensure that your vehicle running costs and repairs are kept to an absolute minimum, this can be achieved through regular servicing and guidance from our service team. We are a safe pair of hands with integrity and are trusted by all of our customers, we ensure that you receive exceptional levels of service, above and beyond normal expectations. We always go the extra mile for every customer, no matter how big or how minor the job in-hand. We believe in good value for money without compromise. Over 16 years of experience servicing Audi, Volkswagen and other makes of cars and commercials. Oversees running of workshop and all incoming jobs. Tom and Sarah are also very involved in the local community. Supervises our day to day operations and logistics of parts and jobs to make sure that your car is repaired, serviced on time. Over 16 years mechanical experience in service and repair. Sarah is also instrumental in the running of all the back office administration, advertising and marketing. Sarah is a keen supporter of most local activities such as fund raisers and fetes.